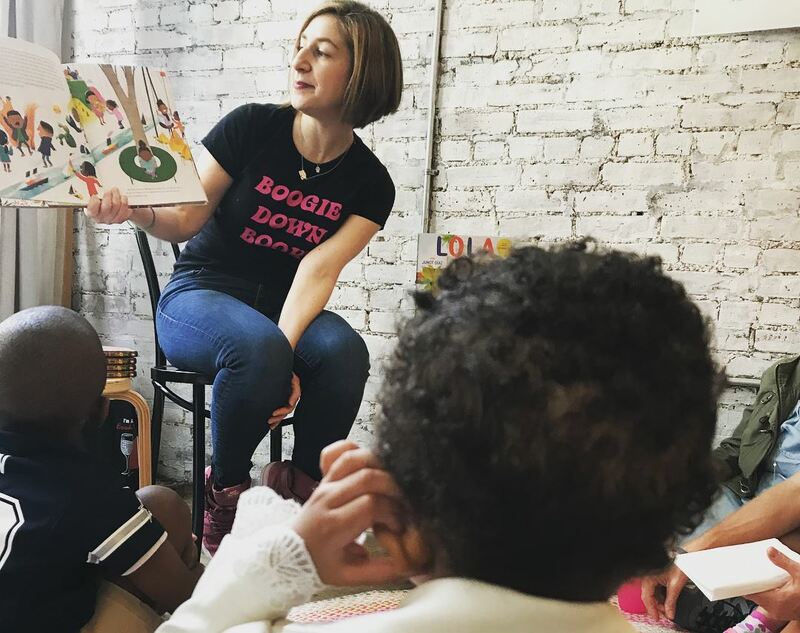 Since October 2017, former educator and teacher coach Rebekah Shoaf has owned and operated Boogie Down Books, a pop-up bookstore in the Bronx, N.Y., with a focus on children, teens and their educators and caretakers. Shoaf told Bookselling This Week that it had been a "longtime dream" of hers to open a children's and teen's bookstore in the Bronx, which has no children's bookstores despite being home to some 600,000 people below the age of 18. Shoaf explained that while she'd always planned to open a traditional bricks-and-mortar store and even wrote up a business plan, she couldn't "find a way to make the numbers work because of the real estate costs." Instead, Shoaf decided to launch Boogie Down Books as a pop-up and made use of a $3,000 New York City Neighborhood Grant to fund her inaugural event, "Fall into Reading." Held in October at P.S./I.S. 224, a public school in the Bronx's Mott Haven neighborhood, Fall into Reading saw Shoaf and a team of 30 volunteers bring more than 200 books to students. She followed that up in November with more Fall into Reading events, this time in the form of book clubs held at the Mott Haven public library. The discussions featured diverse books and were led by teachers and educators. Shoaf told BTW: "Since that first event was funded by an outside organization, I wasn't sure what was going to happen after, but then things just sort of kept happening. There's so much excitement right now about the idea of books in the Bronx that people just latched onto it and were like, ok, what are you going to do next?" In the months since Fall into Reading ended, Shoaf and Boogie Down Books have been going strong, with BTW reporting that she's hosted events for teachers focused on Jewell Parker Rhodes's book Ghost Boys and been a vendor at the Bronx Book Fair earlier this month. Looking ahead, Shoaf said she plans to keep collaborating with other Bronx businesses and community organizations, and does not expect to open a traditional bricks-and-mortar store, though she "would love to someday have her own actual bookmobile that serves kids and families throughout the South Bronx and beyond." Said Shoaf: "It's much more difficult for young people to go to a different part of the borough to go to a bookstore, so we would like to bring the bookstore to them."